On day 4 we had a real relaxing day. I bought me the M&M's on Times SQ :-) , we then headed out to Little Italy and Chinatown where we had lunch. By night we went back to the rooftop bar 230Fith because I just loved spending our evening there en enjoying the views. 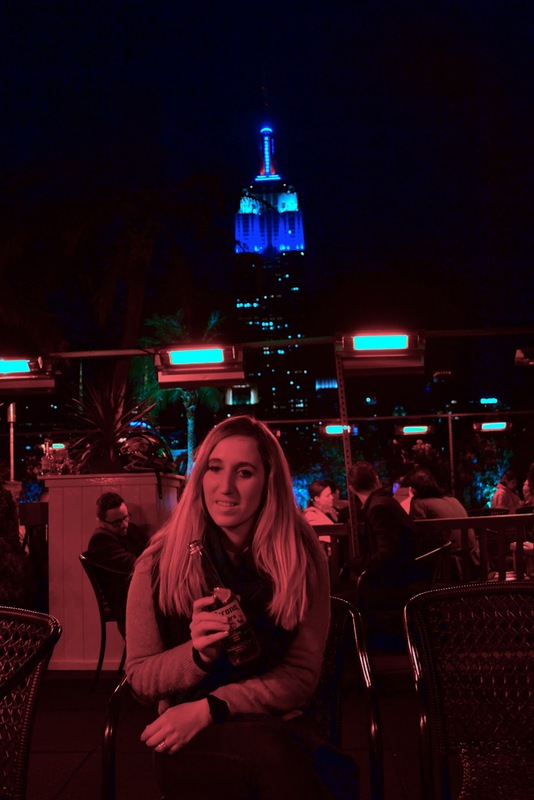 The rooftop bar has heaters and it's surrounded by palm trees and magical lights :-). Drinks are a bit expensive there, but then again drinks are expensive everywhere in NYC, at least at this bar you can enjoy good views :-). It's great to have a day of relaxing in between other days filled with walking and sightseeing. see you tomorrow for day 5 of my Fashionwise Travel Project in NY ! Wow amazing shoots from NY at night! Zalig, you make me long for NYC myself!